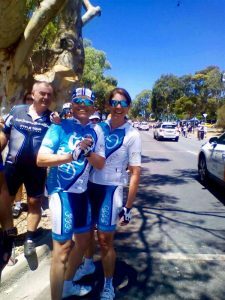 Australia at it’s very best with this bike race tour, unique cycling down under and a true taste of Australia. 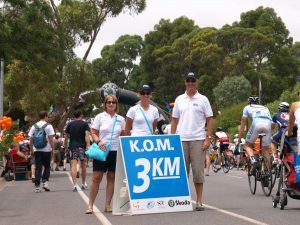 Experience all the action of the Tour Down Under from our ‘live viewing spots’ and the opportunity to ride parts of the race route and other sensational, scenic rides with the team and expert guides. 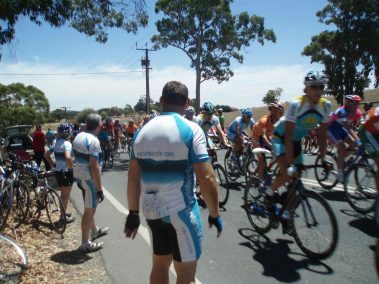 Start the year in style cycling the best roads in Australia and enjoying the amazing Tour Down Under trip! 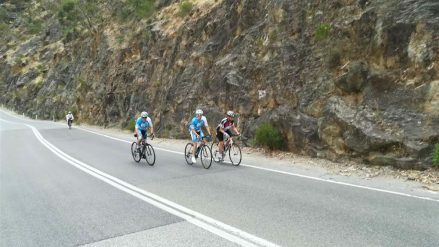 With a world of cycling experience and unique small group skill set, Practice Bicycle Tours are the best way to enjoy your bike race holiday, whether you’re looking for day after day of challenge or a cruise on the most beautiful cycling roads of Australia. 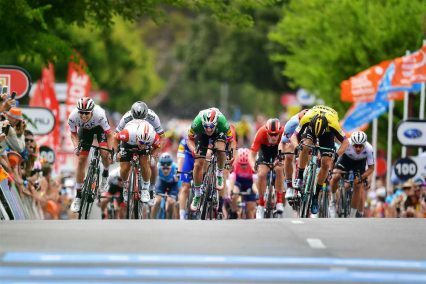 Every January the eyes of the cycling world turn to Adelaide, Australia for the first major race on the world cycling calendar and the biggest cycling race in the southern hemisphere. The 2020 Santos Tour Down Under lifts this world class event to a new level with more climbing and truly a festival of cycling with all the stars of cycling challenged like never before. 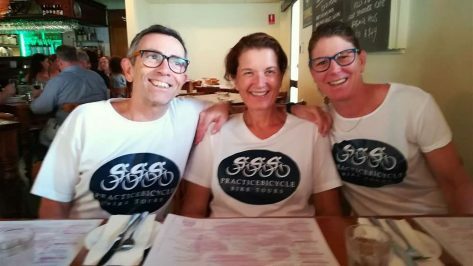 Practice Bicycle Tours have enjoyed being a part of this incredible event and the Adelaide region for many years, designing this tour to give you the best of both cycling & relaxing. Enjoy the spectacle of each stage of the Tour Down Under race action, exploring on amazing routes with your own fully guided rides each day. Relax and reward yourself with the best rides in South Australia with complete confidence in all the details. 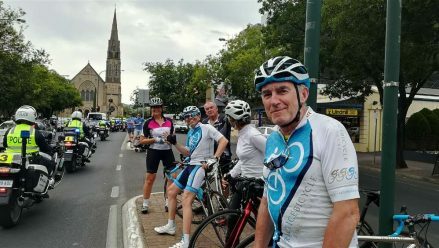 Can’t get enough of Australian cycling? 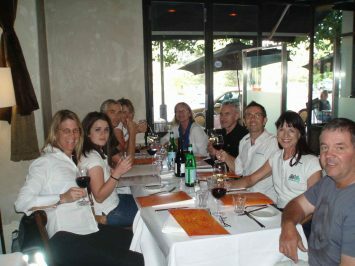 We also offer bike trips before and after the Tour Down Under. Why not extend your holiday and turn it into the cycling vacation of a lifetime? Tour Type Ride your bike and watch the best bike races in the world, together with the professional that live it! Our bike race tours combine the best cycling with bike race viewing and relaxing. Experience the bike races like you have never before! Activity Level Because our tours are always based at a single location with an unimaginable choice of ride options, we can tailor the routes to meet your riding requirements and abilities. Available Packages All our prices are AUD $ per person based on twin share accommodation. If you are an individual guest, a single room surcharge will apply. If you have already arranged accommodation, you can select our 'Rides Only' package. Don’t miss out on a cycling holiday with your partner, just because you do not ride. 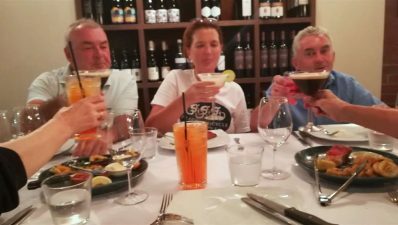 We cater to non-cyclists that want to join their cycling wife/husband/partner at the Tour down Under Bike Race tour this January in Australia. With your preference to be less energetic, enjoy the sights of this world-class International race spectacle and the best of Adelaide and South Australia from the comfort of the support vehicle or should you prefer a rest from the race action, relax by the beach or enjoy the charm of Adelaide, sophisticated, cultured and casual. I’ve just completed my first trip with Practice Bicycle, they provide such a great comprehensive service that can be made to accommodate every level of cycling from advanced to a bit of a novice like me. 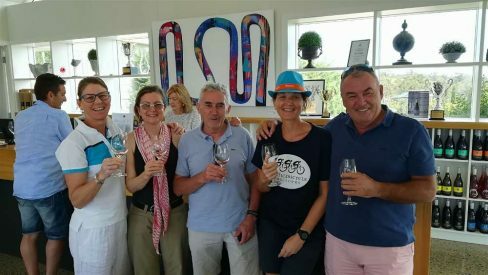 Great coaching from both Paul and Bridget and great organisation on other activities too...so glad that coffee, wine and food featured highly on the trip list too! Highly recommended. Don’t miss out on cycling down under in 2020 reserve your place above. Welcome to Adelaide, our personalized service will collect you at midday from Adelaide Airport followed by a short transfer to your 4* Hotel accommodation in the heart of the city. Having checked-in to your accommodation we are available to assist you with un-packing your bike and should time permit the opportunity for a gentle ride over to the beach to stretch out the legs from your travel and to ensure that the bikes also travelled safely! This evening we invite you to join us for Welcome Drinks and Dinner ‘a surprise’ at one of Adelaide’s cosmopolitan Restaurants. A great time to talk about our fantastic week ahead with the best ride routes, live race action from the road side and relaxing café / lunch stops on route each day. 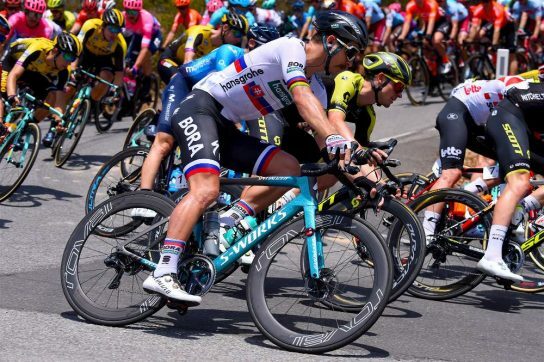 The 2019Tour Down Under peloton begin this year’s event with both the start and finish on the streets of Adelaide with stage 1 heading into the Adelaide Hills before an expected sprint finish on the circuit in Port Adelaide. 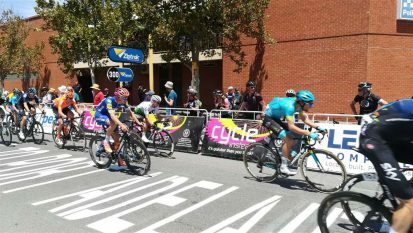 This is a challenging start to the TDU where the undulating roads of the Adelaide Hills will test the legs and make for exciting racing from day one. Our own premium ride this morning, taken at our own pace as we wind our way out of Adelaide and experience a taste of the beautiful Adelaide Hills and catch the race action live. 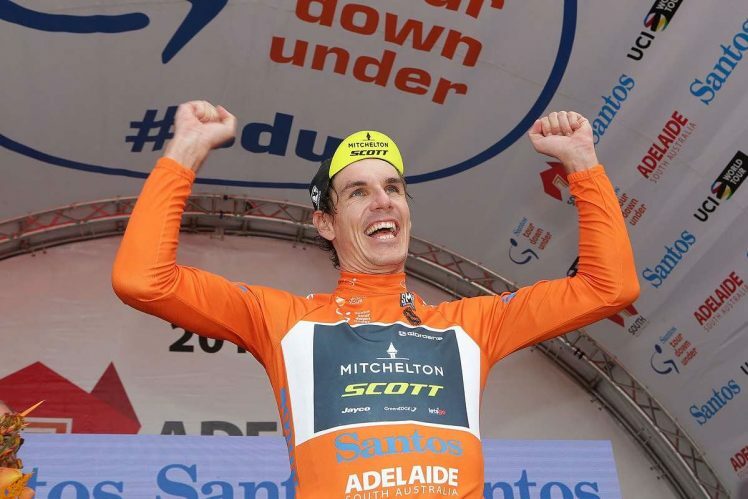 The uniqueness of the Aussie landscape allows us to keeps the pedals turning before all the first stage finish line spectacle in Port Adelaide, who will wear the first Santos Ochre Leaders Jersey at the Tour down Under 2019. 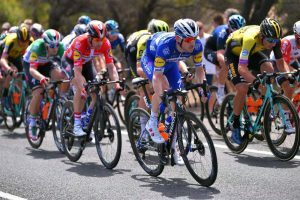 The TDU race leader and team will be working hard today to control the race with Stage 2 race route starting again into the Adelaide Hills before heading north into the Barossa Valley wine growing area and the finish line in Angaston. The KOM at Checker Hill comes early in the stage and with this undulating route with over 2000m of climbing this is not an easy day for the professionals at the 2019 Tour down Under. 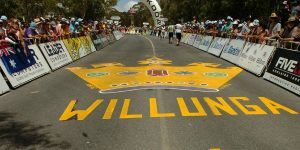 With a variety of superb riding today on the race route, decide how much effort you would like to make before we view the fastest sprinters in the world at full speed fighting for the southaustralia.com Sprint Jersey, last year’s winner Peter Sagan will be back could he take this highly sort after prize once more? 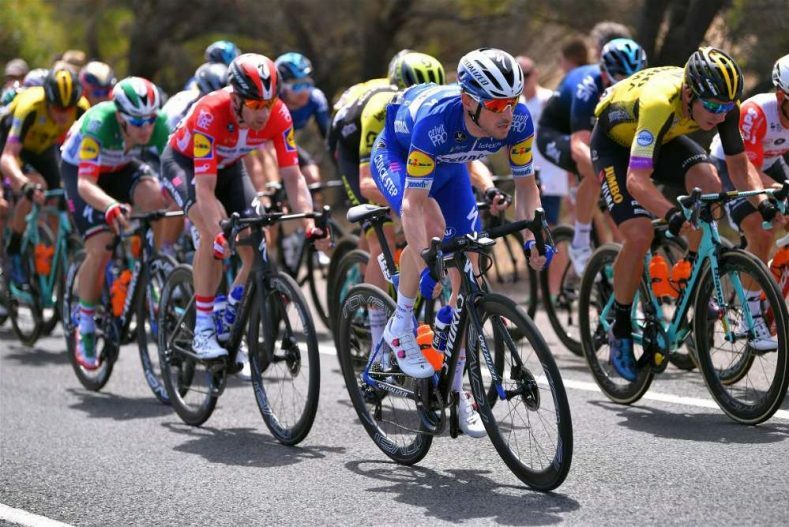 With the Pro Peloton challenged with 3337m of climbing, mostly on a difficult finishing circuit the race organisation is making the 2019 TDU winner have great climbing legs this January. We can experience our own climbing on today’s stage with a variety of our choice routes on offer and the flexibility for all abilities the key to your ultimate week of riding and race viewing pleasure. Enjoy the race viewing on the finishing circuit or allow the legs to be challenged with a lap in the saddle. Today you may wish for the option of a relaxing day with an included afternoon visit to a hidden gem of an Adelaide Hills wine tasting! There are no easy stages at the 2019 Tour down Under and this early season stage race will be pushing the professionals this January, today many will be trying to hide before a very difficult final week-end of racing. Stage 4 takes a big loop heading into the southern Adelaide hills before the critical Corkscrew climb before the downhill finish in Campbelltown. For those looking forward to taking part in the ‘Challenge Tour’ stage tomorrow a moderate ride will be the perfect preparation with a taste of Adelaide’s best cafes on route. 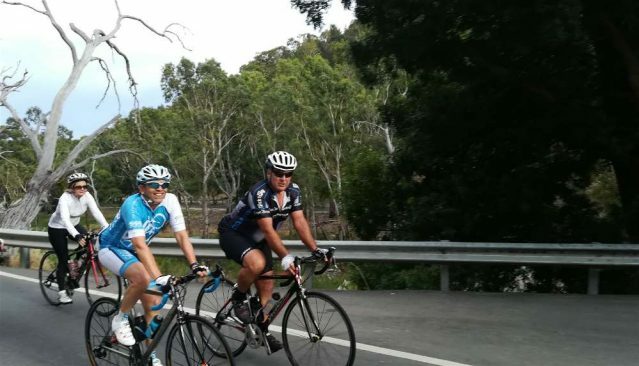 If you’ve come to Australia’s best cycling destination for quality back to back riding and your very own week of challenge rides, enjoy these great roads with the professionals at Practice Bicycle bike tours. For those who have chosen the ‘Challenge Tour’ the mass participation ride will be following the actual race stage route for 158.7km heading south along the coast to the climb of Sellicks Hill before crossing the peninsular to Victor Harbor and heading north to the stage finish line in Strathalbyn a complete day on the bike. Feel like a real pro for the day, taken care of and in the very experienced and capable hands (& legs) of your own Practice Bicycle domestiques (team mate & worker) and your own personal support team. Alternatively the Practice Bicycle team have on offer your own ride route with great cycling in Australia whichever you decide! 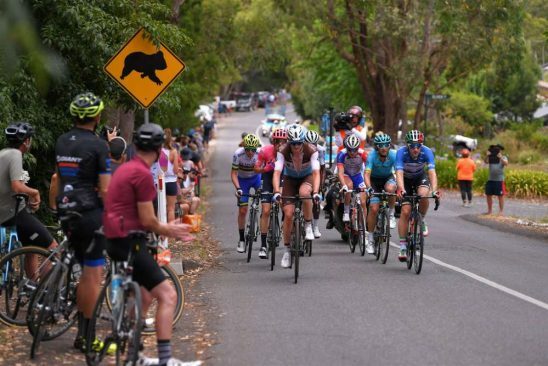 The 2019 Tour down Under was intentionally designed for a difficult race route; add the queen stage of Willunga Hill for the final action and a classic race day atmosphere will be experienced on the roads of the McLaren Vale wine growing region this year. After exploring this marvellous cycling region together, we will be feeling just like the Pro’s and with one final challenge together this will be a superb day to end this years TDU. If you prefer to spend your energy kicking back from the roadside the spectacle of this fantastic sporting event will be at a high today as we have multiple opportunities to watch the world’s best race action pass us by. Refreshed in one of the local cafes on route absorb this superb spectacle as they take on the KOM and the highlight of the day as the fight is on for the Winner of the 2019 Tour down Under on Willunga Hill! Sadly today is also your departure day from Adelaide with the race action due to finish at 3.00pm we recommend you plan your onward travels for later than 6:00pm. *Ride option – It’s the PB Bike Tour experience where you get to choose to ride as much or as little as you wish! With the Tour down Under an exciting festival of cycling, your days will be packed with fun both on and off the bike. 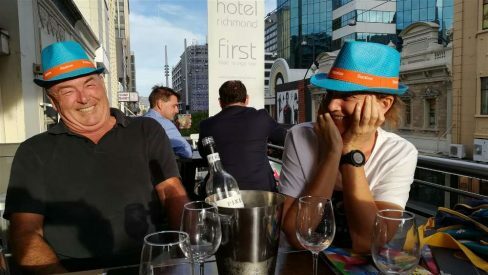 Make the most of this great week with a visit to the Adelaide City Council – Tour Village, catch up with all the latest race news over a refreshing drink. Alternatively Adelaide’s generous boulevards and elegant architecture provide the perfect backdrop for all sorts of activities. No matter what takes your interest, there’s something here for you. 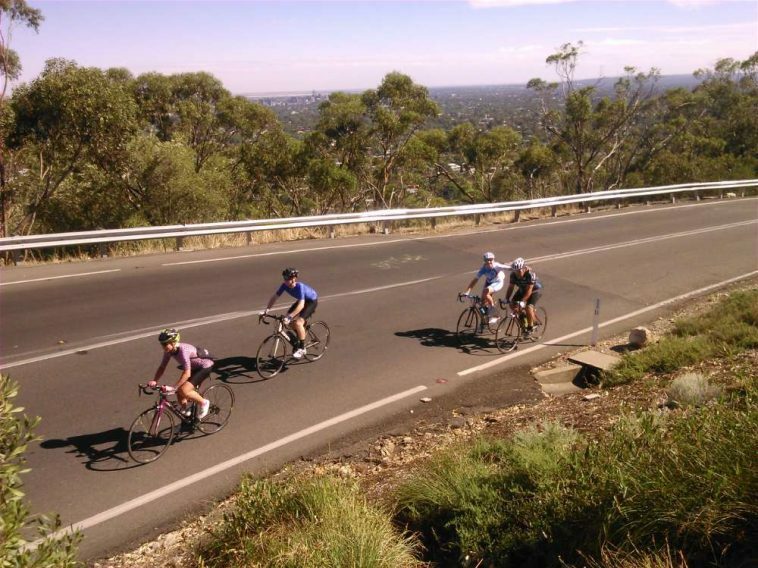 Whether you have years of cycling experience or are just new to the bike, you will love cycling in Adelaide and for fans of international bike racing, this trip is for you! 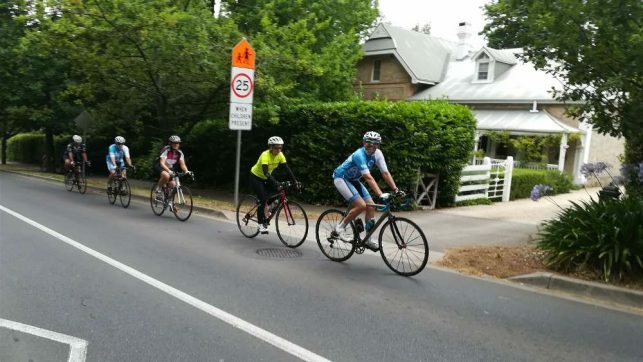 Each cycling route during your Tour Down Under Bike Trip will be tailored specifically to your bike riding ability and experience, so you can have a challenging ride or a comfortable ride – the choice is yours. We specialize with a ride choice each day making for the perfect cycling week. We love a challenge as much as we love cycling. 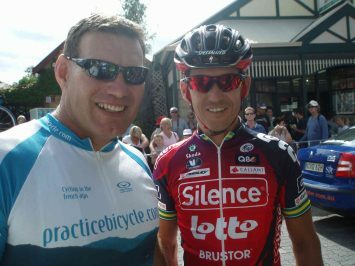 The team at Practice Bicycle has a history in professional bike racing and coaching in fact it was on the roads of the Adelaide hills where your host Bridget Evans took 3rd place at the Australian Championships in 2005. So if it’s a challenge you are looking for, we can definitely find just the right rides for you during this pinnacle cycling week in Australia. I have already booked accommodation - is the Rides Only package for me? Absolutely! Look for our ‘Rides Only’ (14 – 19 January) package to get on this tour without any add-ons or accommodation. Each day you will join the Practice Bicycle Team at a convenient central Adelaide meeting point. Fully escorted and supported on superb rides to the best viewing locations to catch 6 stages of the Santos Tour Down Under live. 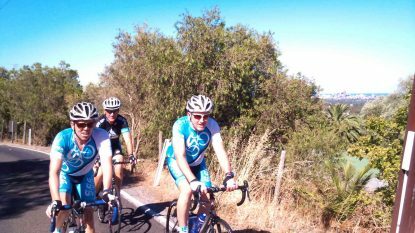 We tailor the daily rides to the riders experience, including actual Tour Down Under stage routes, take a look at this years itinerary. 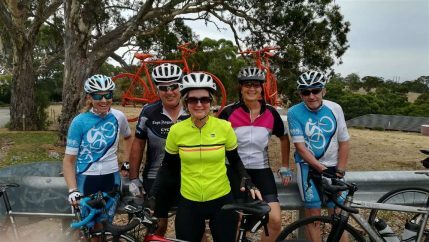 Practice Bicycle has developed 30+ rides in Adelaide for riders of all levels with over 10 years of cycling experience in South Australia! What activities, tours will the Non Cycling Partner do whilst I'm on my bike? 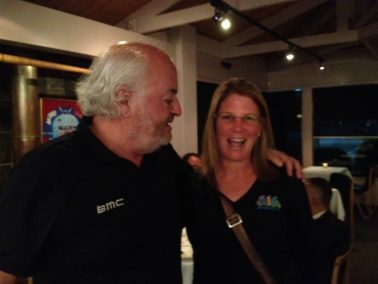 As a Non Cycling guest and bike race fan you experience all the spectacle, excitement and action up close and personal of the bike race live each day. 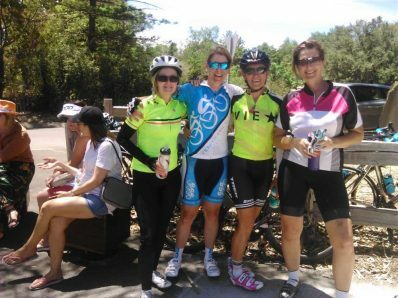 Our local support team will share with you culture and townships on route whilst catching up with the cycling group at our ‘unique live viewing spots’ and cafe / lunch stops together. You may also wish to immerse yourself and discover the best of the city of Adelaide from it’s “cultural boulevard” and some of Australia’s most beautiful buildings to a visit to the home of Australia’s most famous wine – Penfolds Grange. Alternatively, swim with dolphins in our clear clean waters, cuddle a koala or visit the most beautiful cricket ground in the world, Adelaide Oval. For shopaholics, wander down Rundle Mall and indulge in some retail therapy. Be sure to pick up some treats from Haigh’s Chocolates or stock up on RM Williams merchandise from the legendary Outback outfitter. 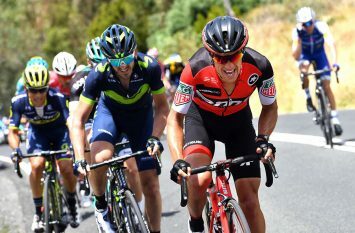 Why do you choose to watch all stages of the Tour down Under bike race? 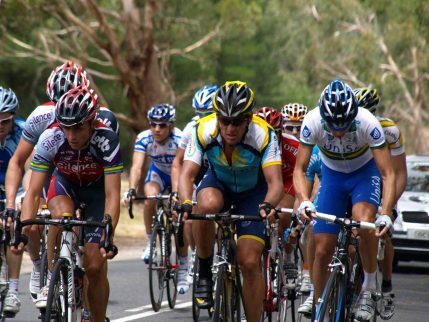 Our specialty bike race tour week to the TDU offers the opportunity of viewing the race on all 6 stages. With our proven formula ‘Unpack Once, Cycle Every Day’ we maximise your enjoyment of viewing the race action live, contrasting with your own variety of personally tailored rides and the opportunity of enough time to relax and experience your idyllic location for the week. Should you be looking for a rest day from riding then the support vehicle is available to enjoy the day. Can I have an extra night? Absolutely, if you would like to tag on an additional extra night then select from our optional extras. We highly recommend the additional night option with the final stage finishing late afternoon on Sunday which requires an after 7:oopm departure from Adelaide. This also gives you more time to relax and enjoy one more evening in Adelaide. Cafe / Restaurant lunch stops facilitated on route each day.